It is with the deepest of sympathy that we report the passing of William Kieran (Bill) Ryan EI8BC from Portmarnock (formerly of Drumcondra). 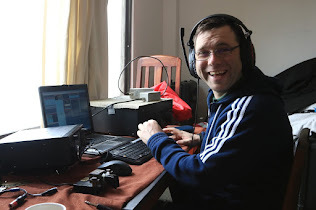 Bill was a longtime member of North Dublin Radio Club and a founder member of the QRP club at the Marino Institute of Education. Bill used to say to friends that he had the oldest Irish callsign EI8BC. He will be deeply missed by all his family and friends.